comme ca "acc SAT modchip Phantom Universal = 32€"
-DVD boot swiss r-431 , 8cm sur "ritek"
This file is most commmonly used for booting swiss. This file is shrunk to fit for upload into Qoob Pro flash. This file shrunk and formatted for upload into Viper Extreme flash. - swiss.iso : properly formatted iso image ready to burn for DVD loading. Use with DVD burner software (imageburn or other) to make bootable DVD. - swiss.fzn : for use with Wiikey Fusion / WASP Fusion only. This file is most commonly used to update the swiss menu version on flash. NOTE: FZN update can be performed from WKF/WASP SD slot. This file is only used to restore WKF/WASP firmware v1.0 for autoboot. - swissRecovery.iso: replaces original 1.2 recovery. Used to load swiss in recovery mode to allow reflashing firmware. 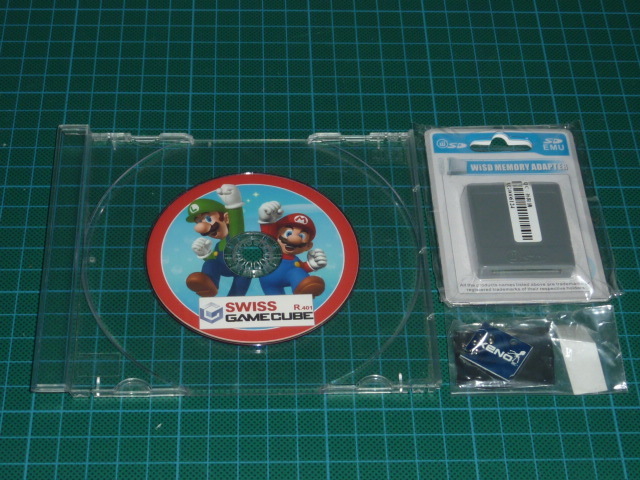 NOTE: Must use properly set up Action Replay SD Card to allow boot. 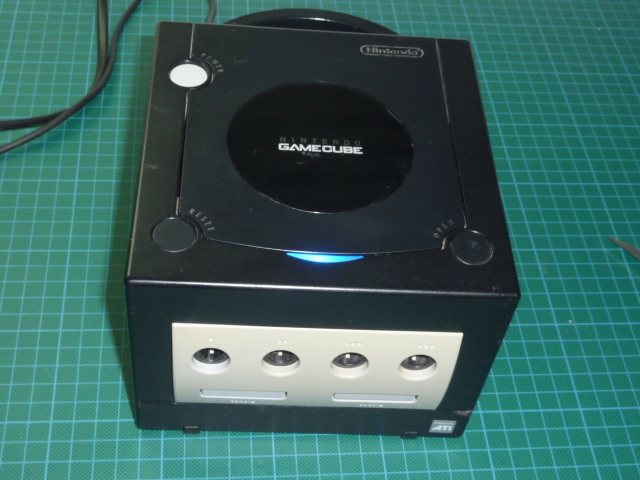 Allows for serving files from PC to Gamecube over USBGecko. - boot.gci : Swiss in memory card format to be loaded via memory card save game exploits.